It’s been an interesting month; the back to school adrenaline has definitely worn off and happiness hacks for September 2017 were a bit random. My baby is now an adult. I can hardly watch or listen to the news without wanting to crawl under the covers (I live right near the Pacific Ocean if you get my drift). My first born filed her papers to graduate from college. Pumpkin spice hit the shelves again (wait-it’s still 90 degrees here in northern CA) and I’ve STILL got a huge to-do list hanging on from the summer. Last night I socialized with a bunch of old and new friends, many that are teachers. We all had the same look in our eyes – the half-droopy, bloodshot and overwhelmed look that teachers get when they’ve been putting every ounce of energy into establishing classroom routines, tackling new curriculum and battling over sub-par technology. And to think someone asked me why the beginning of the year is so tiring – don’t we already have our lesson plans from last year? Ah, if only it was just about lesson plans…. So yes, I am seriously in need of some happiness hacks. I’m betting that you are, too. I’ll give it my best shot – I’m not giving up! My page-turning definitely slowed down in September, in large part due to not being able to keep my eyes open past 9:00 p.m. 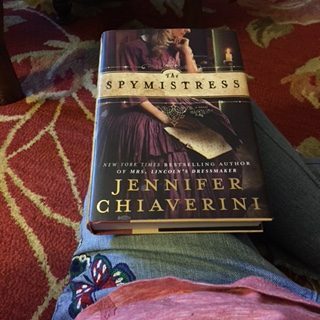 I did have to abandon a book that just wasn’t catching my interest, but I’m deep into/nearly finished with Jennifer Chiaverini’s The Spymistress. I’m a huge historical fiction fan and especially love finding books that make American history come alive through a female protagonist. This book focuses on the Civil War in Richmond, Virginia, and a young, unmarried woman, Lizzie Van Lew, who poses as a Confederate supporter to help smuggle Union prisoners and messages through her home. Van Lew is not a fictional character; she was instrumental in establishing the Richmond Underground and is known as one of the orchestrators of the escape from the infamous Confederate Libby Prison. It’s cool to see our female unsung heroes finally reaching the notoriety they deserve. 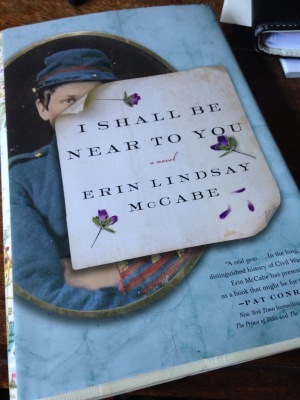 One of my favorite stories is by Erin Lindsy McCabe, who wrote I Shall Be Near To You – you can read my interview with Erin here. It was one of my top ten books of 2014! This month’s Happy at Home is about meeting personal goals. Like many teachers, I’m a planner. I love to make to-do lists, set small, medium and large goals, and in the last few years, writing has featured prominently in most of my personal and professional goals. I decided to blend as much of my personal and professional life into my writing as possible, and it’s been a blast! In September I hit TWO huge goals: doing a live TV cooking segment, and being PUBLISHED IN A MAGAZINE! 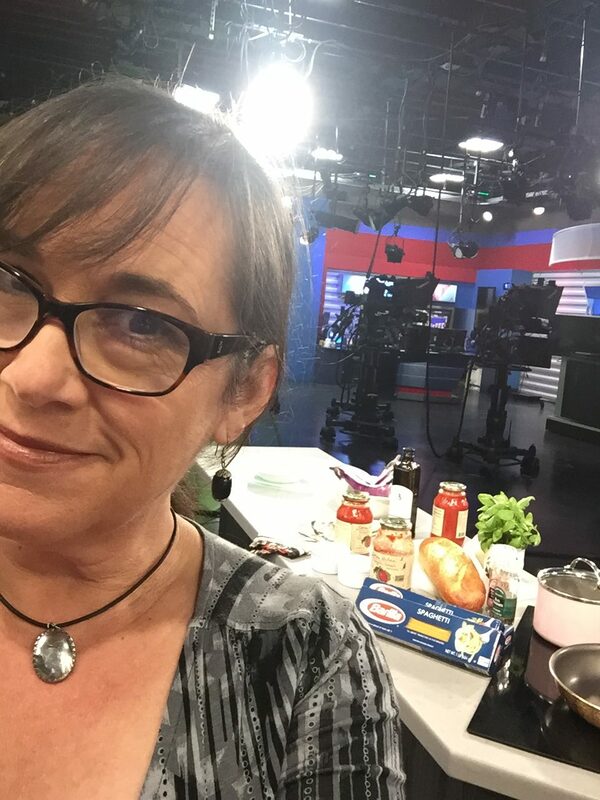 You can watch my cooking demo here – just a fleeting 4 minutes to make spaghetti with sauteed eggplant and tomato basil sauce! 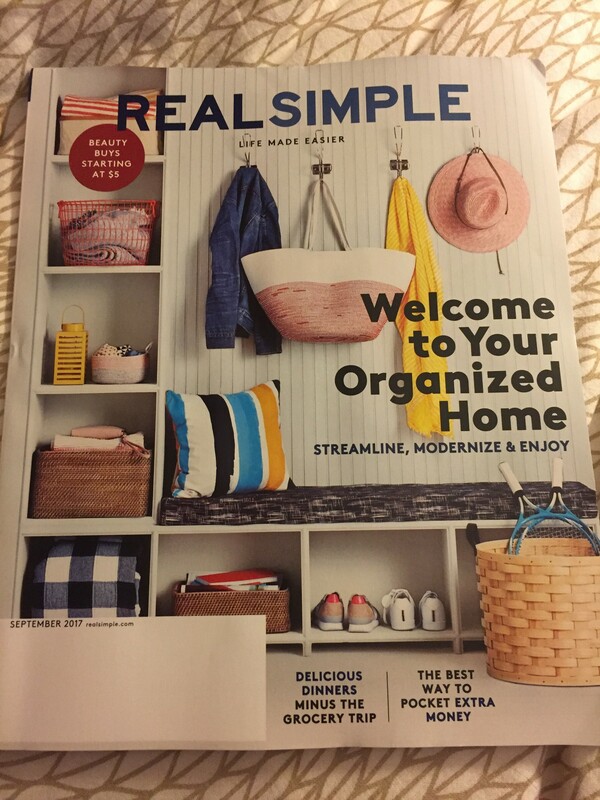 If you haven’t flipped through the September issue of Real Simple yet, have a look at the “Relating” feature “5 Excellent Habits To Start When School Does”. 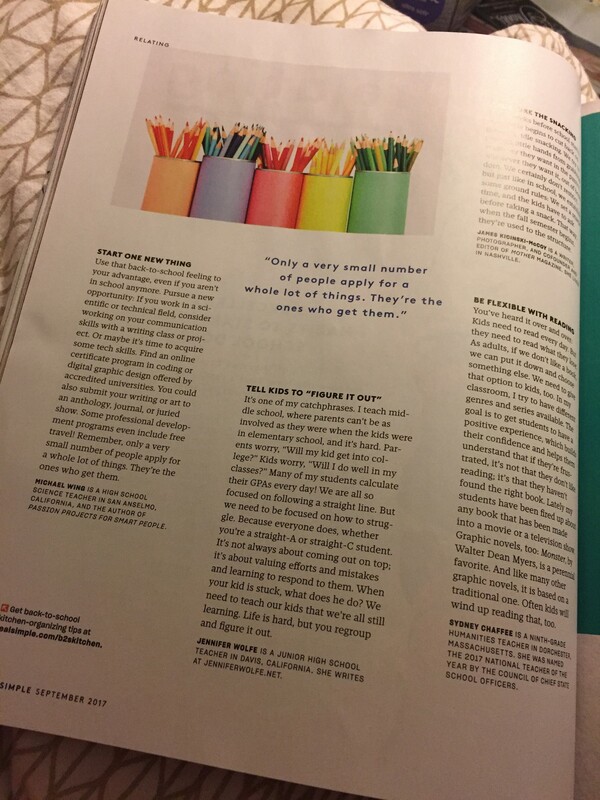 Doing the interview and seeing my name in print is SO EXCITING! I’m not second-guessing myself, just thanking the universe for the opportunities and helping me gather up the courage to say YES! I love to bake, but after my daughter left for college things definitely slowed down. You’d think that living with two men I’d be filling the kitchen with all sorts of delicious treats, but both my son and husband are super health conscious about eating white flour and sugar. So much for backing-as-a-form-of-stress-relief! Happily, though, this month I stumbled on an easy, yummy treat that they both seem to adore. I call them coconut energy bombs, and I found the recipe here. I’ve tried adding almonds (tastes like an Almond Joy), pecans, and even some cacao powder, but they like the straight coconut and dark chocolate the best. I used mini-muffin tins to form the bombs and store them in the refrigerator until they are gone. They’re super easy and taste like candy, without all the bad stuff! I’m still loving my podcasts, for sure. As I noted earlier, the news-junkie in me has taken a huge hit with this new administration. I cannot subject myself to all the stupid/scary/abhorrent drama that seems to occur on a daily basis, so I rely on the NPR podcast “Up First” to get my 10 minute morning update while I’m cooking breakfast. Later in the day, I’ve taken to the “10% Happier with Dan Harris” podcast and the “10% Happier” app for quick, relaxing meditations. I mean quick – they start with 1 minute and can go up to 10. They’re awesome. Try it. I hope these Happiness Hacks for September 2017 bring more gratitude into your life. Please be sure to leave your happiness hacks in the comments – I’d love to share your tips for living an ordinary, extraordinary life. 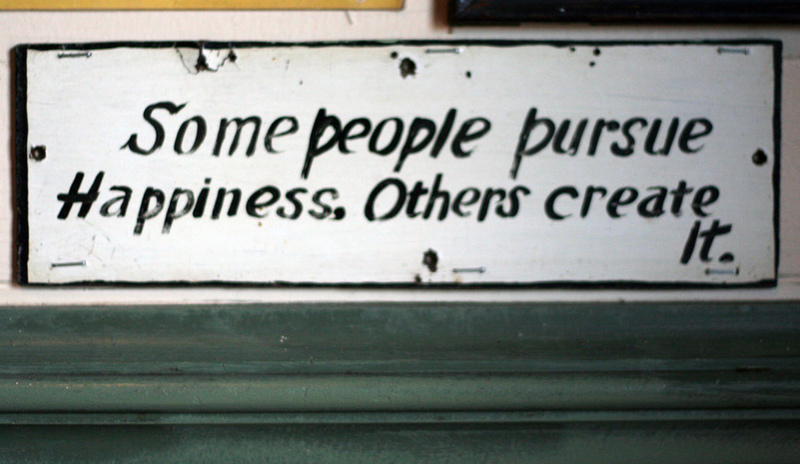 Do you have to intentionally make yourself happier? Some people, like me, need ‘happiness hacks’ to remind themselves daily of what a blessing it is to be alive – what great fortune we have to be living for one more extraordinary, ordinary moment. Years ago I started a gratitude journal – just a daily addition to my morning pages that documented the ordinary things that I was grateful for – simple things that made me happy. During this time I read Gretchen Rubin‘s book, The Happiness Project – Gretchen’s writing and podcasts inspired me to create what I hope are monthly lists of ‘happiness hacks’ – small, simple acts or moments in life that bring me happiness and maybe they’ll rub off on you, too. You can read my essay inspired by Gretchen’s other book, Happier At Home here. In June 2017 I started with my first set of ‘happiness hacks’, and loved the responses I received on the post and on social media. Turns out, you do things to make yourselves happy, too.